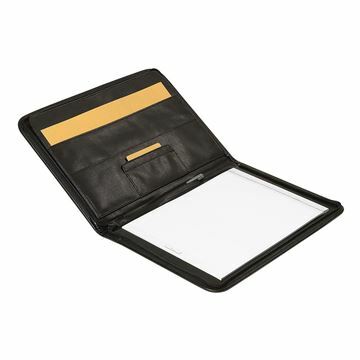 Leather A4 zipped folder. Pad and pen holder. Pocket for documents. Zipped pocket. Slots for business / credit cards. Handles. 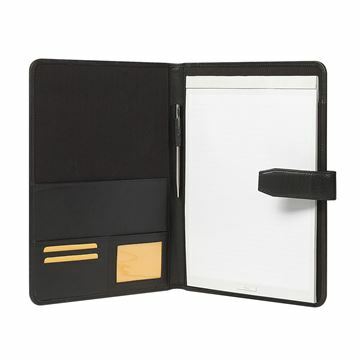 Nappa leather A4 folder with PU inside. Tongue fastening. Pad and pen holder. Slots for business / credit cards. 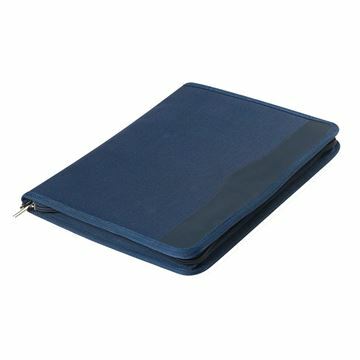 Polyester A4 zipped folder. Pad and pen holder. Slots for business / credit cards. 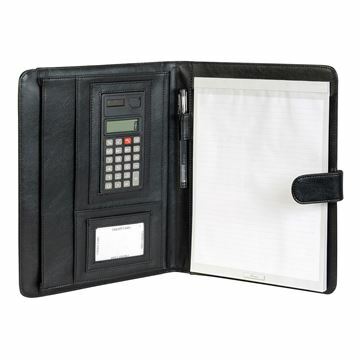 Pocket for documents. 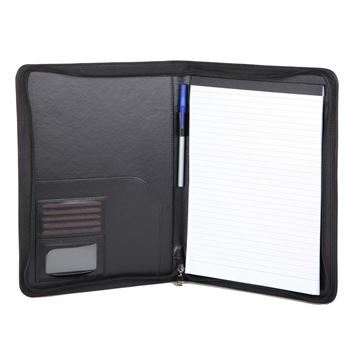 PU A4 zipped folder. Pad and pen holder. Slot for business / credit card. 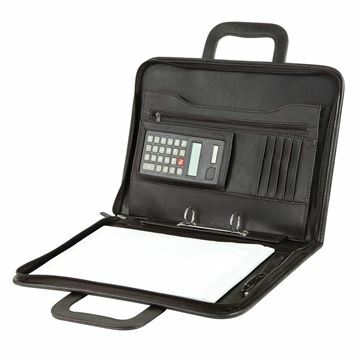 Pocket for documents. 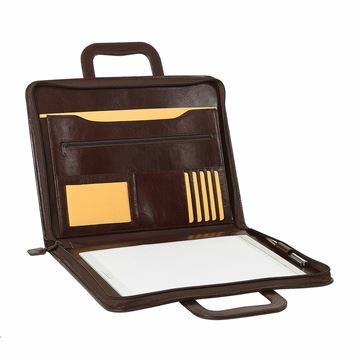 PU A4 folder. Pad and pen holder. Open pocket for documents. Slots for business / credit cards.